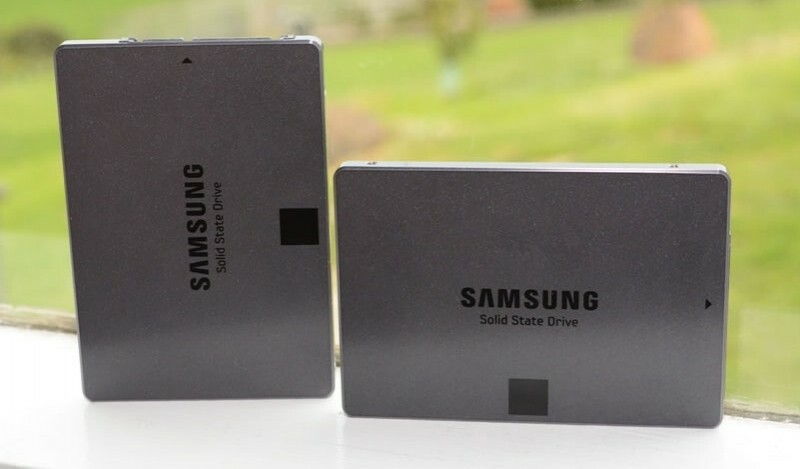 The Samsung 840 EVO has been one of the most troubled solid state drives since its mid 2013 launch. Last year, users discovered that the drive suffers from performance degredation in the long run, with read speeds dropping off dramatically when old data is being accessed. Samsung issued a patch in October that promised to address the issue, but the fix was only temporary. Samsung has now released a new firmware patch for the 840 EVO that is said to permanently fix the performance of the drive, as promised. This new patch periodically refreshes the data on the drive by re-writing the contents of an old cell to a fresh one, preventing a performance drop off for old data. The fix is more of a workaround than a true solution to the problem with Samsung's 19nm TLC NAND used in the 840 EVO. As the drive has to re-write data to new cells every so often, the lifespan of the drive will be reduced slightly, though we don't imagine this will be a significant issue for most users. If you own an 840 EVO and want to apply the fix to your drive, you can download the latest version of Samsung's Magician tool over on their website. Hopefully this will be the last patch that's needed to fix the performance issue, but it will take a few months to find out if it has worked as intended. Luckily, the 840 EVO is the last Samsung drive to use 19nm TLC NAND, with newer drives like the 850 EVO opting for Samsung's newer 40nm TLC V-NAND technology which doesn't suffer from the same issue.